Let's cut the pleasantries shall we? Skip right to the chase. 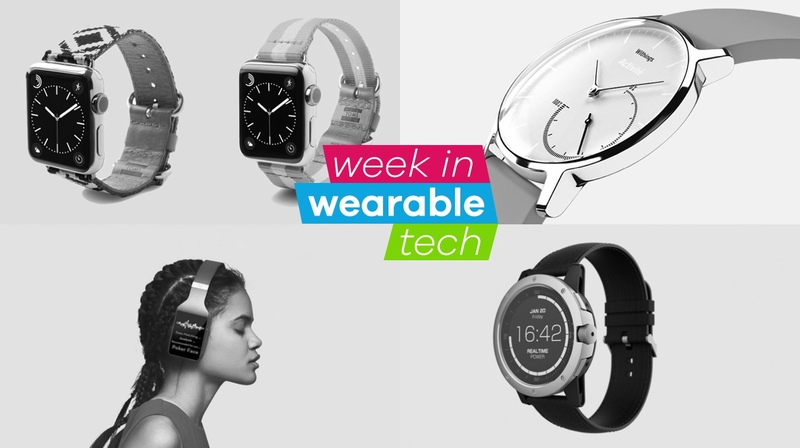 You're here for the week's wearable tech headlines and your time is precious. We get it. The latest 'official' Apple Watch straps landed this week. There are two lines of new Toms bands: the Utility Collection and the Artisan Collection. Utility bands are grosgrain fabric, available in six different options and have leather details; Artisan bands are woven fabric with leather backing and four more styles to choose from. Picking up one of the new Toms Apple Watch Series 2 means the company will provide a year of solar light to an individual or household in need. Very nice. These third party Apple Watch straps don't have that sort of good karma, but they are swanky. Withings launched the Activité Steel Gold this week – a more luxurious version of the Activité Steel fitness tracker hybrid. Boasting a 24-carat gold coated case, the Gold comes with either a dark brown with crocodile print or a red-berry coloured calf leather strap offers all of the tracking features included on the basic Activité range. Sadly it misses out some of the more innovative features included in the upcoming Withings Steel HR. The Vinci 3D Smart Headphones are the lastest Kickstarter sensation. Essentially a phone on your ears, the hefty hearable stores and plays music, has Wi-Fi, Bluetooth 4.0 aptX and 3G connections (via a SIM card), a voice assistant and activity tracking. Music-wise, Vinci will stream or play downloaded tracks from Spotify, Soundcloud and Amazon Music – with 16GB storage on the standard model. The Matrix PowerWatch is the first wearable device to be powered by thermoelectricity, meaning you won't need to recharge or replace the battery as it draws its power from a user's body heat. In terms of features, it's centred on fitness tracking, and will use its tech to better estimate calorie burn. It will also keep your stats saved for a year, as well as syncing with a smartphone partner app. Think it might hit our best smartwatch list soon?